Google Search has evolved quite a bit over the years, really drilling down into the specifics of what someone might be looking for. We can see health results in Google Search thanks to an update last year, and now for anyone who is trying to find something to do around them, Google Search wants to help with that, too. 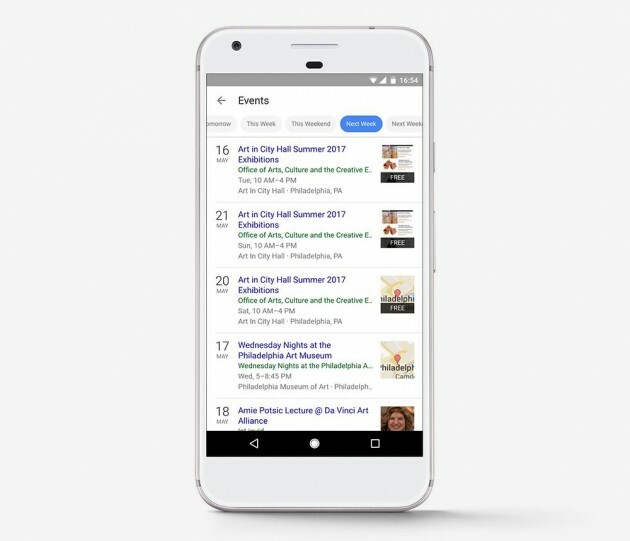 Today, Google announced the ability to see local events within the Google app or on the mobile website. Users will be able to search for things like “art events this weekend,” and Search will populate the list with events that are happening around you. You’ll even be able search a variety of different days, including the current week, the upcoming weekend, or even next week. For example, searching for any art events happening next week should show what’s going on during those dates. Google has confirmed the update to the Search app and on the mobile site is rolling out now to users in the United States beginning today.